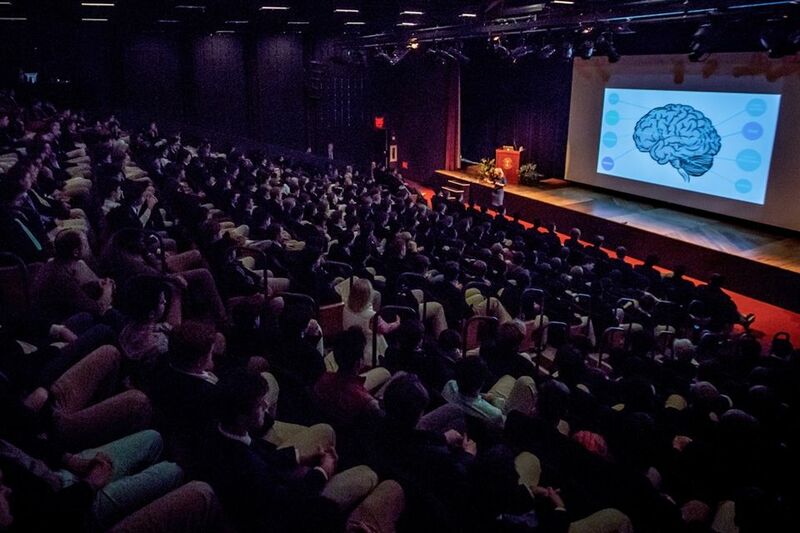 Fox, a Middlebury College graduate with an MSW from Columbia University, spoke to a large audience of Brunswick students and faculty about defining and managing anxiety — and establishing a framework to strike a balance and effect positive change either individually or with the help of others. “The best solution is to break it down, make a plan, and go through it piece by piece — and write it down on a hard copy,” Fox explained. “Immediately, that relieves your brain of the pressure and the frazzle — and you won’t feel fried. “Step back — even ask your parents to step back — and think about how you can handle your anxiety when you begin to feel overwhelmed. You all have the ability to get through and control your anxiety in a simple way.